The beautiful Renaissance castle was first built after the time of Luther at the end of the 16th century. In a permanent exhibit here, Martin Luther and the spread of the Reformation is portrayed as well as the conflicts between Protestants and Catholics until the Peace of Augsburg. 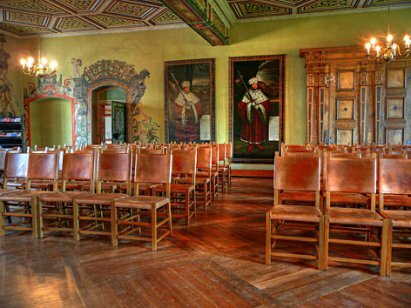 The Smalcaldic League was established here in the city hall in 1530. It remained the most important meeting location for the League’s members until 1543. In the atrium, the coats of arms of the member cities of the league can be seen along with a bust of Luther (1996) by the artist Wieland Förster. 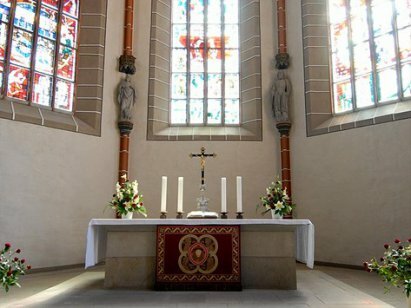 The Late Gothic church is home to a small church museum in the so-called “Little Luther Room” (Luther Stübchen), which was once a chamber for paraments. The historical confederating assembly in 1537, reported as a “spectacular day of princes”, saw not only princes and counts but also 42 theologians, among them Philipp Melanchthon and Martin Luther. They preached in February and March of 1537 in the city church of St. George. Martin Luther stayed in the exposed timber house during the confederating assembly of 1537. He took ill during this time with a kidney ailment and instead received delegates here in this house. His traveling companions feared for his imminent death. 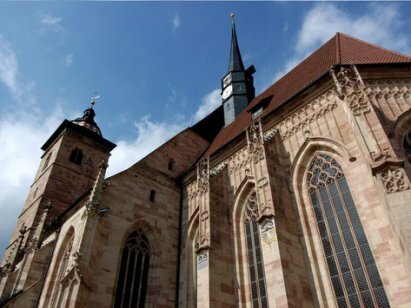 The Thuringian city of Schmalkalden belonged to the region of Hessen during the time of the Reformation and is still today a part of the Protestant Church of Kurhessen-Waldeck. 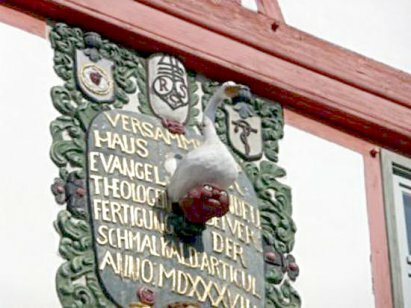 The Schmalkaldic League was formed here in 1531 as a defensive alliance of the Protestant princes against Emporer Charles V. The league met a total of seven times in Schmalkalden. Martin Luther and Philipp Melanchthon participated in one of the most notable of these meetings. 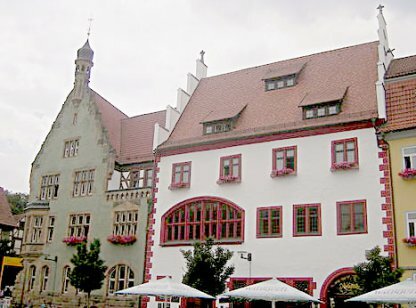 It was here that Luther presented the Smalcald Articles, which the Electoral Prince of Saxony had charged him to write. In sharp distinction over and against the Roman Catholic church, he used drastic words to unfold the essentials of his theology. It was the desire of Johann Friedrich von Sachsen that through these articles a unified confession might be created for the Smalcald League. The Smalcald Articles were cautiously received by the congress of princes. It unleashed a theological debate with a special focus on the meaning of the Lord’s Supper. After the meeting, the internal conflicts between the various partners increased. During this time, Emperor Charles V was preparing for a war in order to prevent the Reformation from tearing apart the empire. In the Smalcaldic War (1547), the Protestant troops lost to the emperor’s army and the league fell apart. The Smalcald Articles found a place in the Book of Concord of the Lutheran church. The Book of Concord serves as the guiding confessional document for most Lutheran churches worldwide.